A tad too early to share these but we’re way too excited! 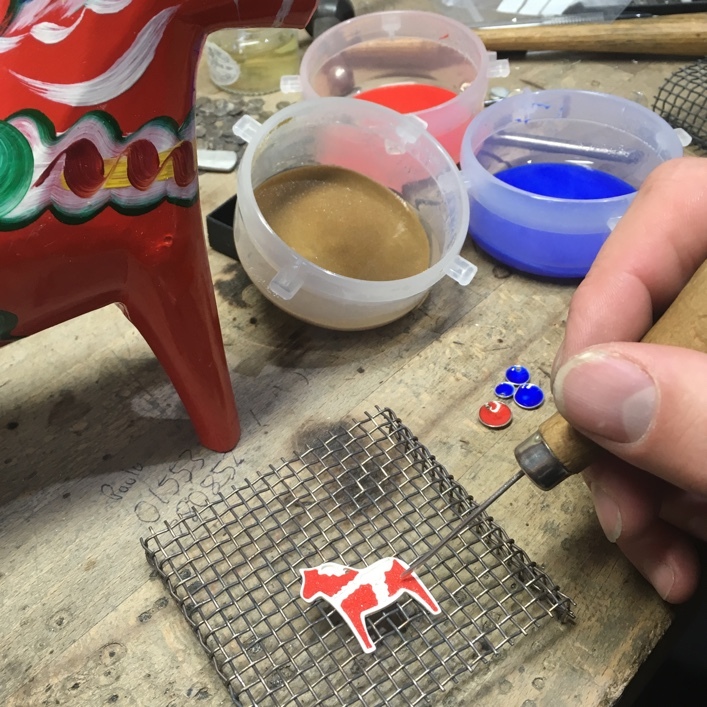 Our hand pierced, double layered Swedish inspired Dala Horses are just about to be enamelled in their trademark vivid red, blue & green coats.. Very nearly ready for the shop, what this space! 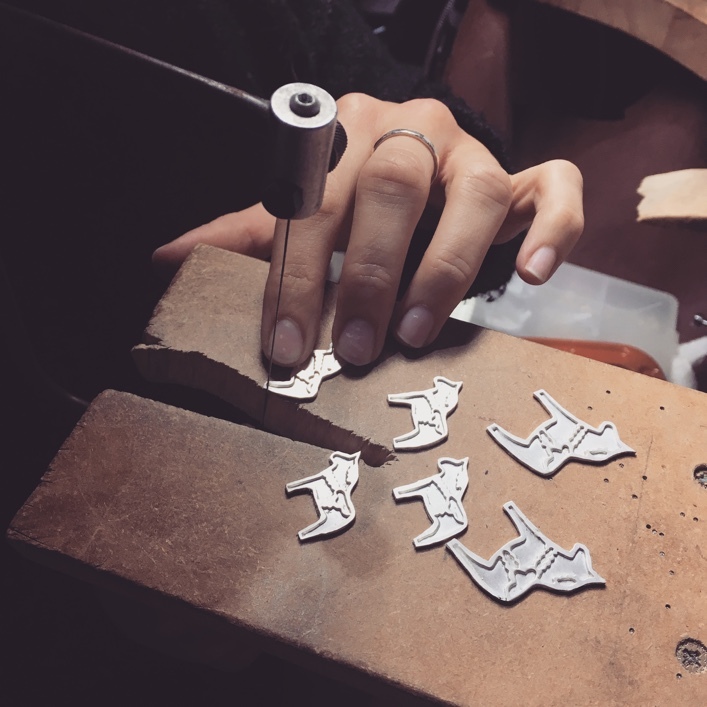 Each piece has been hand pierced & layered onto a backing. 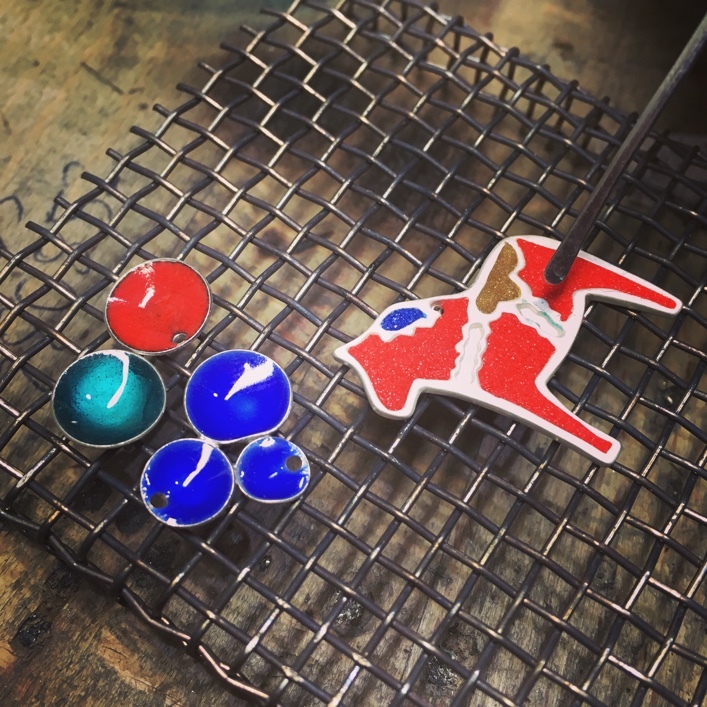 Adding the Vitreous enamel colour, ready to be fired in the kiln.